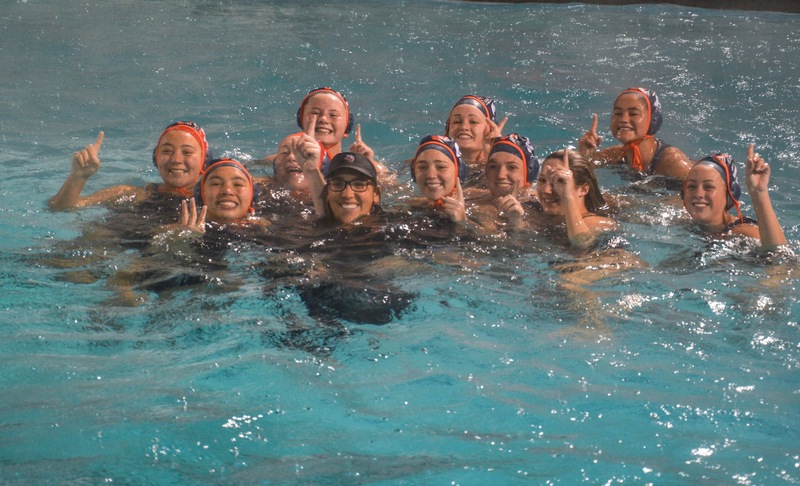 The Lady Norsemen endured pouring rain, as they came out and battled West Hills for League Title. With the possibility of a shared title, the Valhalla ladies were fired up to remain sole League Champs. Starting off slow, they came back strong in the 2nd quarter taking the lead by one point. Seniors Katie Ratcliff, Lexi Smith and Maddie Logsdon fired off shots from everywhere in the pool, dominating the Wolfpack. Kaia Jennings, a up and coming sophomore aided to the 9-5 win with a well placed goal of her own. As always a high penalty game when playing head to head, the norsemen women converted 4 of their 6 possession, and denied conversion while down a man 9 out of 10 times. Zoe Johnson finishes her regular season, smashing her current save record of 920, with over a thousand saves to complete regular play. Slowing down the pace of the game, and finding great control, the Norsemen Seniors finished their regular high school careers with 4 League Titles, gaining Valhalla a 7th League title in succession. Deep congratulations to Norsemen Women’s Water Polo Team on a tough season, and a grand victory.